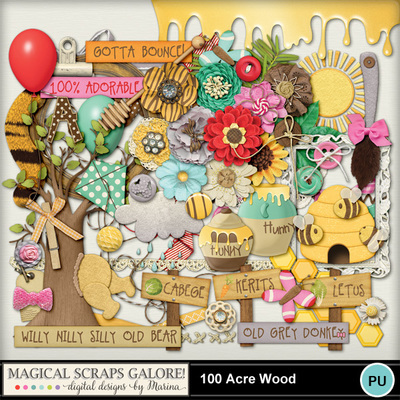 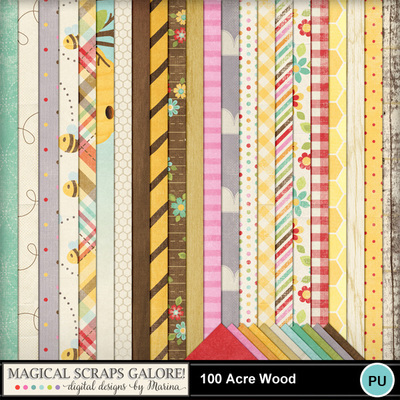 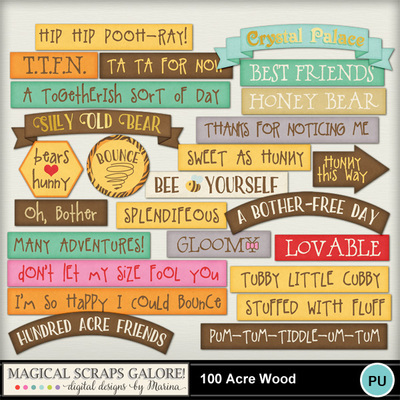 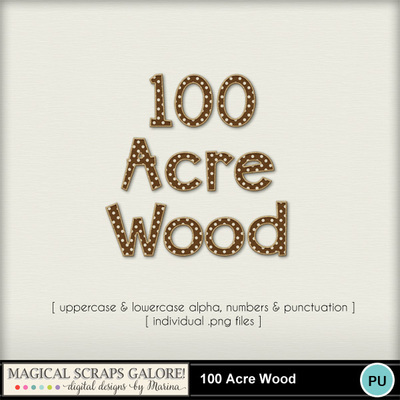 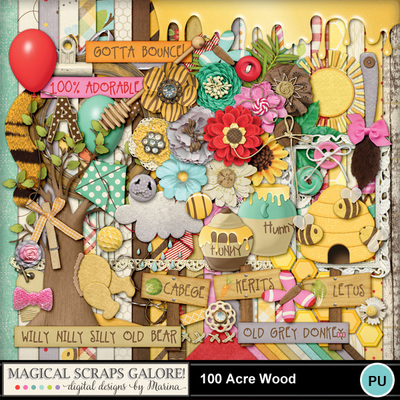 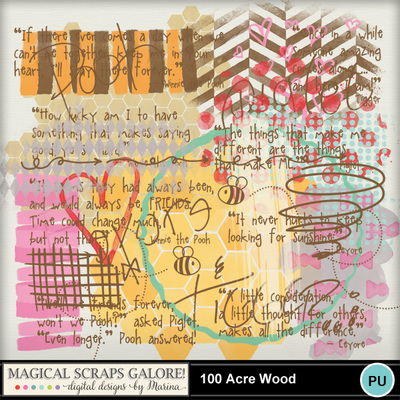 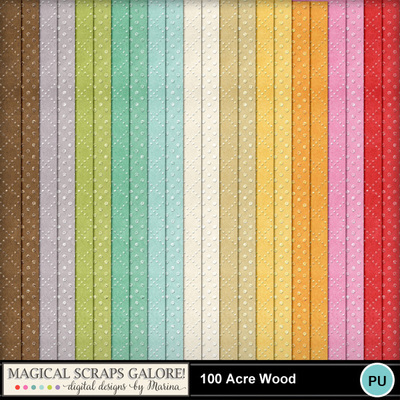 100 Acre Wood is an adorable collection that celebrates everyone's favorite "silly old bear" and his friends. 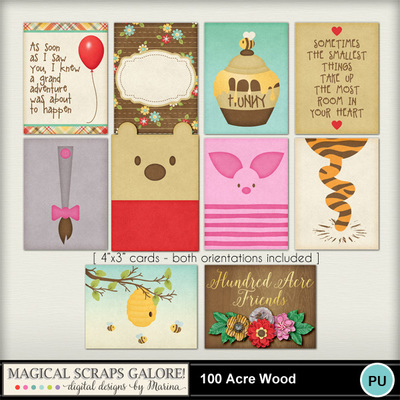 In a beautiful color palette inspired by the beloved characters, this honey-sweet collection overflows with beautiful patterns and elements such as bumblebees, honey jars, beehives, honeycombs, donkey and tiger tails, balloons and kites, character-inspired flowers, among many other fabulous goodies. 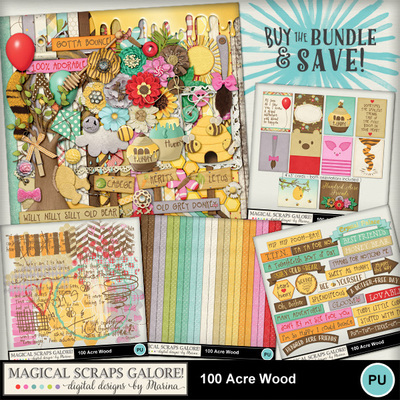 This is the perfect collection for scrapping your character meet and greets, magical character meals, a themed birthday party, your baby's photos, your favorite childhood book, and so much more!